"In the medieval kingdom of Goredd, women are expected to be ladies, men are their protectors, and dragons get to be whomever they want. Tess, stubbornly, is a troublemaker. You can't make a scene at your sister's wedding and break a relative's nose with one punch (no matter how pompous he is) and not suffer the consequences. As her family plans to send her to a nunnery, Tess yanks on her boots and sets out on a journey across the Southlands, alone and pretending to be a boy. Where Tess is headed is a mystery, even to her. So when she runs into an old friend, it's a stroke of luck. This friend is a quigutl--a subspecies of dragon--who gives her both a purpose and protection on the road. But Tess is guarding a troubling secret. Her tumultuous past is a heavy burden to carry, and the memories she's tried to forget threaten to expose her to the world in more ways than one." This book sounds amazing! And I am so in love with that stunning cover. 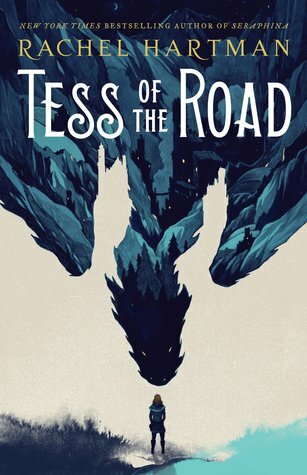 Tess Of The Road will be released on February 27, 2018. Oh nice pick! Sadly couldn't get into her first book but I hope you will love this one once you read it!